Chadron qualifies for a 1.15 megawatt community solar project, and all Nebraska Public Power District customers within city limits would be eligible to purchase shares to have up to 100 percent of their electrical usage generated by solar power. The city would be required to purchase any unsold shares. Read more here. Photo: First Fremont Solar Farm, 1.55-megawatts. The city completed a second solar farm of the same size in September 2018 to accommodate strong customer demand. 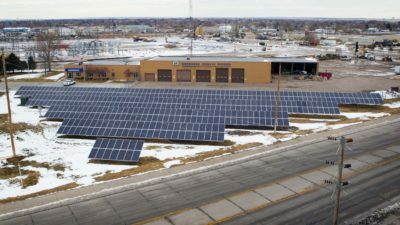 This entry was posted in Community-Scale Solar, Nebraska / Midwest News and tagged City of Chadron, NPPD's SunWise Program on April 9, 2019 by Helen Deffenbacher. The idea for the solar park was planted several years ago. That is when Kearney Mayor Stan Clouse and City Manager Mike Morgan began looking into renewable energy systems. Kearney had narrowly missed being selected as the site for a $1 billion Facebook data center. 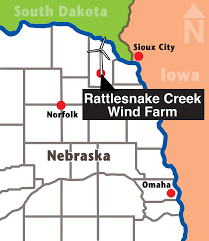 Facebook had been offered an extremely competitive electrical rate to build in Kearney, but planners selected a site in Iowa that offered electricity from wind turbines. 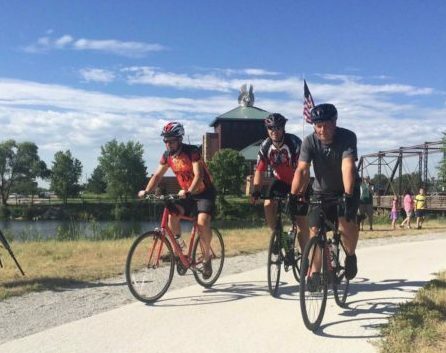 Kearney leaders realized that to get tech companies’ attention, clean renewable energy had to be part of the proposition. Click here to read the entire article. To learn more about installing solar for your home, business or farm, plan to attend the Kearney workshop Is Solar Right for You? sponsored by Common Ground and presented by Nebraska Extension Educator F. John Hay on January 30, 2018. The public is invited! 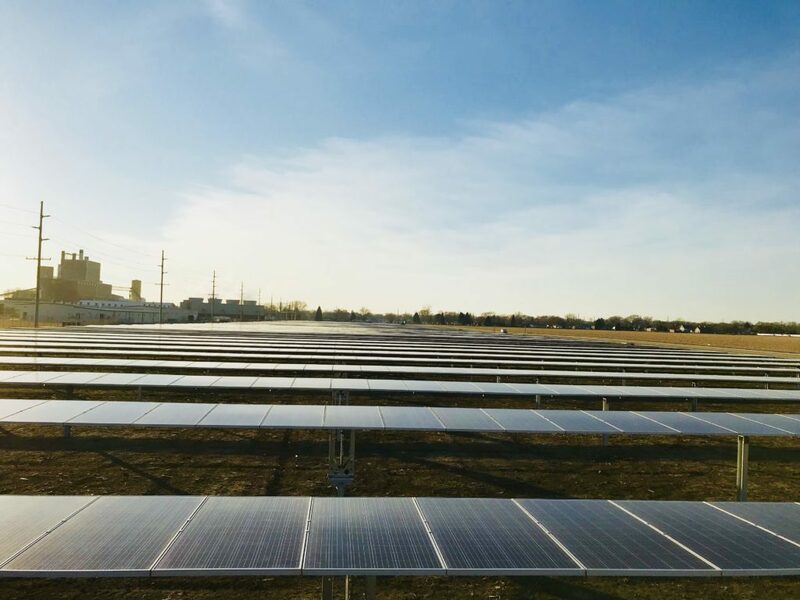 Kearney residents may sign up online to purchase solar shares in the project by clicking this link and selecting the Kearney project, or by calling NPPD toll-free at1-877-275-6773. Request Community Solar In Your Community: In addition to Kearney, participating communities in NPPD’s SunWise Program include Venango and Scottsbluff. 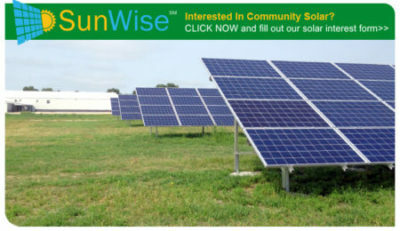 If you are an NPPD customer who lives in another town or city and would like to request community solar, click here to submit the SunWise Community Solar Interest Form. SoCore and United Power, an 82,000 member Colorado co-op, are partnering on an innovative community-battery-storage pilot program. Like community solar, members of the community will purchase a portion of the battery’s capacity to power their homes during peak hours. In exchange, the participants will lower the demand charges on their monthly electrical bills. Construction on the project will start in the first quarter of 2018. 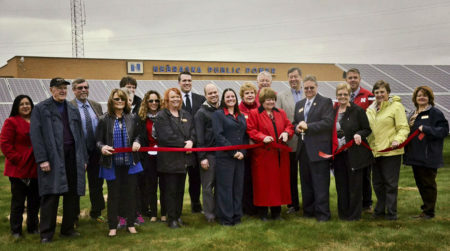 This entry was posted in Community-Scale Solar, Nebraska / Midwest News and tagged Community Energy Storage, Kearney Hub, Mike Konz, NPPD's SunWise Program, SoCore Energy Solutions, SoCore Energy's solar project at Tech oNE Crossing Technology Park on December 23, 2017 by Helen Deffenbacher.